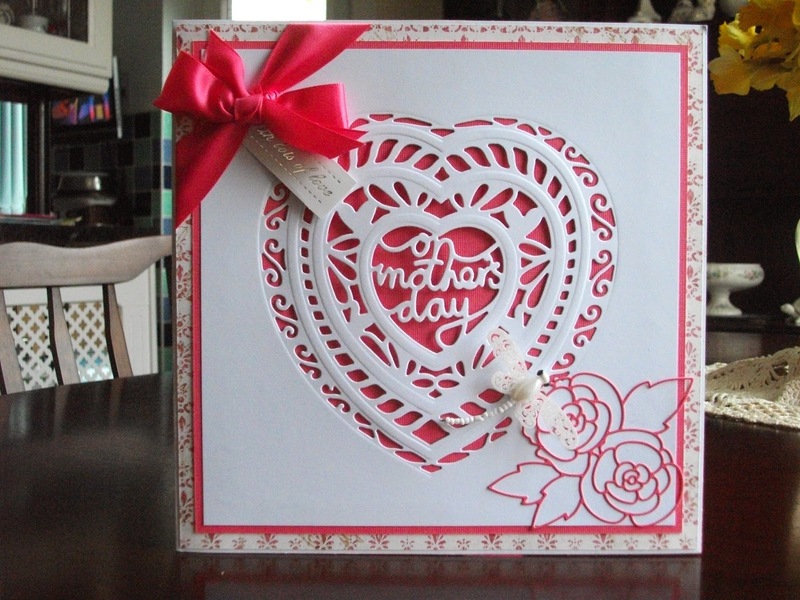 Mother's day 2014.. this is the card I made for my Mother in Law Marie. 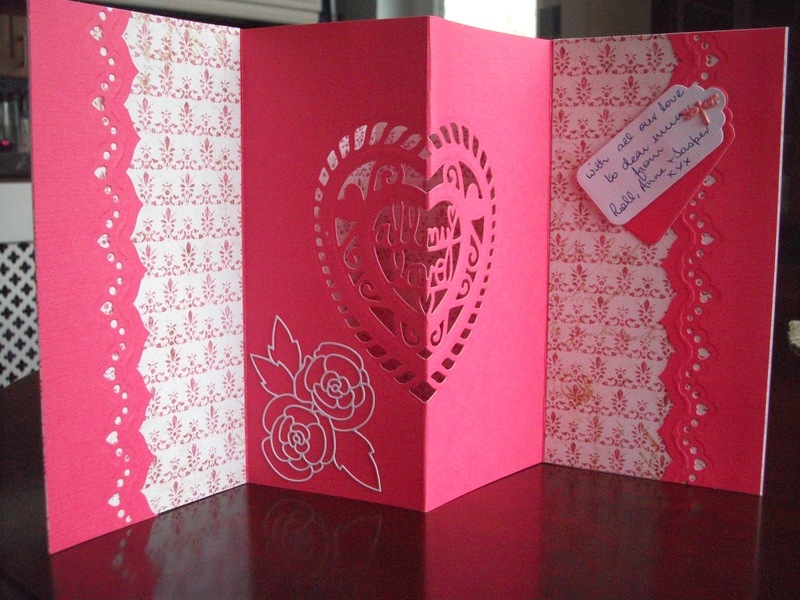 I used a set of Tonic dies to cut out the central hearts and matted and then a pretty patterned pink & white card with a lovely shocking pink card. 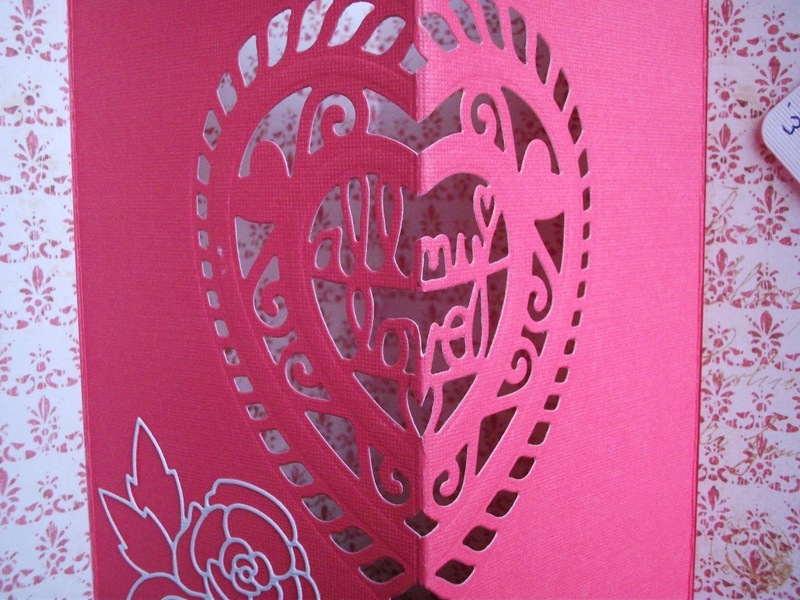 A satin bow and Memory Box Gardenia die in the pink card. 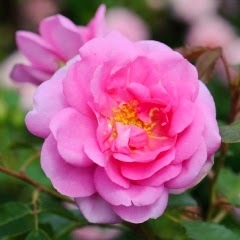 As We sadly lost my Dear Mam in 2009 we have planted a new rose in the garden for her... it is a David Austin 'Cariad' rose .. Cariad is the Welsh word for Love and is the term of endearment my Mam used to us and the grandchildren. SIMPLY GORGEOUS card Annie!!! I love the pop out...you're right it gives that WOW factor!! I'm sure that your Mother-in-law will adore this beauty!!! What a lovely touch to post the rose at the end!!! Hope that you're enjoying a wonderful weekend...we already did the time change a couple of weeks ago...I can't believe how one hour can totally mess up our schedules...LOL! !